It’s a quiet house, sheltered, standing in a mass of tangled old trees called the Holtwood. Raymond watches it. He’s been thinking about the elderly owners, Mr and Mrs Latch, who took him in one night when he was a frightened boy. Mr Latch showed him something that was kept in a wardrobe in the spare room. He can’t remember what it was. He only knows how sick it made him feel. Raymond watches Holt House. He has to remember what he saw. He has to get inside. First published in 1972 by The Eden Book Society, Holt House was the only work of published fiction by L.G. Vey, a popular scriptwriter of 1950s horror and science fiction dramas. 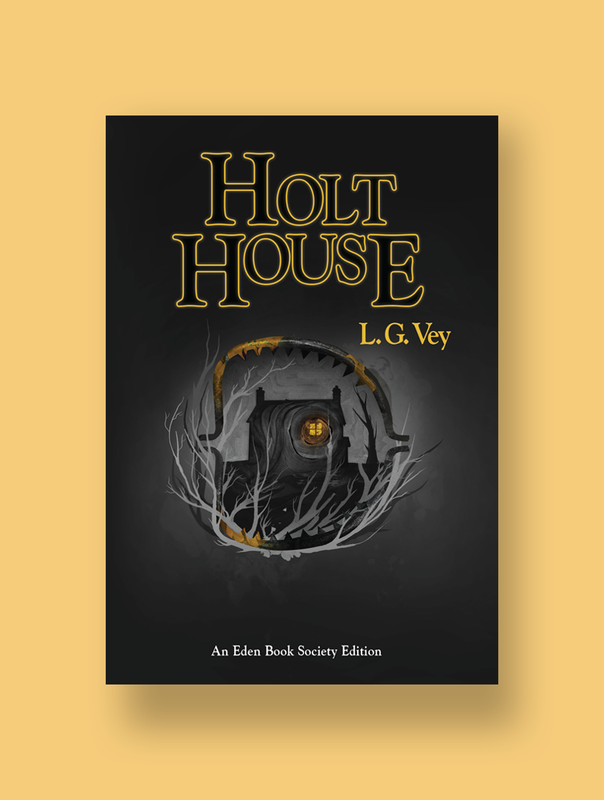 At the time, Holt House was a peculiarly dark and mournful footnote in Vey’s career, but published now for the first time outside of The Eden Book Society it becomes a timely reflection on the toxic frailty of masculinity as it ages.